Applicants must be in their second year of PhD studies and nominated by the department chair in their field of study. Microsoft recognizes the value of diversity in computing. The Microsoft Research Ada Lovelace Fellowship aims to increase the pipeline of diverse talent receiving advanced degrees in computing-related fields by providing a research funding opportunity for doctoral students from groups underrepresented in computing. We are pleased to announce the first 5 students to have been awarded the Ada Lovelace Fellowship. Please check back in mid-summer regarding updated details for the 2020 Microsoft Research Ada Lovelace Fellowship. Tuition and fees are covered for three academic years (2019–20, 2020–21, and 2021–22). A $42,000 USD stipend is provided to help with living expenses and conference travel while in school for three academic years (2019–20, 2020–21, and 2021–22). Note: Fellowships are awarded to recipients for three consecutive academic years only and are not available for extension. 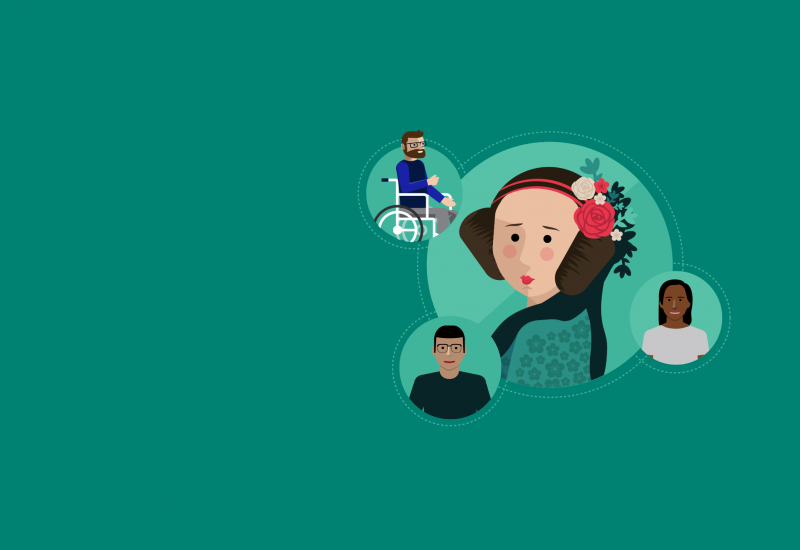 Applicants for the Microsoft Research Ada Lovelace Fellowship must be nominated by their universities, and their nominations must be submitted by the office of the chair of the department. Direct applications from students are not accepted. Students must be in their second year of a PhD program in the fall semester or quarter of 2018. The nominating university will be asked to confirm the student’s PhD program start date (month/year). The recipient must remain an active, full-time student in a PhD program during the three consecutive academic years of the award or forfeit the award. A recipient of a Microsoft Research Ada Lovelace Fellowship may not receive another fellowship from another company or institution for the same academic period. Fellows accepting multiple fellowships may become ineligible to receive continued funding from Microsoft. Below are the answers to frequently asked questions about the 2019 Microsoft Research Ada Lovelace Fellowship. The Microsoft Research Ada Lovelace Fellowship includes only North American schools. If you are a student attending a school outside North America, you are not eligible for this fellowship. Please check out our PhD Scholarship Programme in EMEA and our Fellowships at Microsoft Research Asia. What if I am not starting my second year in academic year 2018–2019? Students must be in their second year in a PhD program in the fall semester or quarter of 2018 to apply for this program. The Microsoft Research Ada Lovelace Fellowship is not subject to any intellectual property (IP) restrictions unless and until the fellowship recipient also accepts an internship. If you accept an internship, you will be subject to the same restrictions as any other Microsoft intern. If you accept a Microsoft Research Ada Lovelace Fellowship, you may not receive another fellowship from another company or institution during the same academic period. Fellows accepting multiple fellowships will become ineligible to receive continued funding from Microsoft. Microsoft will at its sole discretion consider a joint fellowship with a government or non-profit organization. Please contact msfellow@microsoft.com for consideration. None. This is the first year of this fellowship. 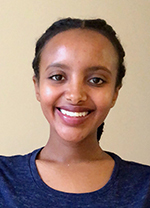 Hiwot’s thesis focuses on designing hardware accelerators that are flexible in serving applications from different domains such as AI, machine learning, and graph analytics by targeting the algorithms that are at the core of the computation, rather than the fully-packaged application. These are done based on a language- and compiler-level framework that can identify computational patterns in an application and map them to the best-fitting hardware accelerator. The goal of the project is to help in the advancement of emerging algorithms and applications because it addresses the growing complexity and computation demands of these domains while alleviating the need for application developers to become experts in the wide range of hardware accelerators that will serve the field. Similarly, it will support the design of more effective hardware accelerators, by gathering data on the accelerator’s characteristics that are in highest demand by applications. Technology has brought new opportunities for marginalized people to collaborate and form community. But it has also brought new forms of control, collapsing contexts, and demanding standardized and singular ways of representing human complexity. 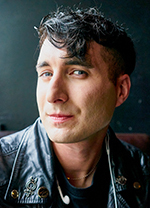 Os Keyes studies how this might be partially reversed – how we go about building technologies that enable plural ways of being, knowing, and doing, with a particular focus on trans identities and lives. Their past work has looked at the impact of facial recognition on trans populations: current and future research directions include how datasets represent gender and the ways in which scientists go about building these representations. They can be found at https://ironholds.org. 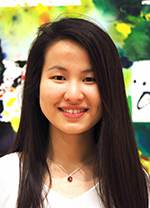 Lydia T. Liu is a PhD student in Computer Science at the University of California, Berkeley, advised by Moritz Hardt and Michael I. Jordan. Her research aims to establish the theoretical foundations for machine learning algorithms to have reliable and robust performance, as well as positive long-term societal impact. This involves developing learning algorithms that have strong guarantees and analyzing their distributional effects in dynamic or interactive settings. Embodied virtual avatars in immersive virtual reality (VR) can powerfully affect users’ perception, cognition, and behavior. Some effects can be detrimental to users without their knowledge. Divine’s research seeks to understand the role of implicit biases and embodied avatars. 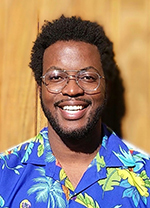 His goals are to determine when avatars in VR games, VR entertainment, and VR educational content are likely to produce undesirable changes in implicit racial bias. Subsequently, create guidelines resulting in a framework concerning how to design VR content to minimize these undesirable changes in implicit racial bias and other unwanted biases. It is critical that this research is conducted while the VR market is still developing and can benefit from innovation, feedback, and ideas surrounding social good. Our skin and the microbes that inhabit it have evolved in unison. Interactions between them provide the first line of defense against invading pathogens and allergens. These interactions modulate an immune response, impacting autoimmune skin disorders like psoriasis. 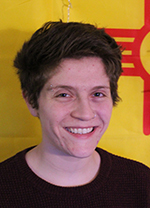 Izzy’s research uses an evolutionary framework and Bayesian network theory to understand the causal relationships within this complex and dynamic system. Based on real patient data, they apply modeling and simulation-based approaches to identify microbes that exacerbate immune responses in individuals with psoriasis. The results of their research will have immense impacts on the future of personalized healthcare.